to see what we have, click HERE! Macon Precision Machining LLC is located North of Macon, Missouri just off Hwy 63. 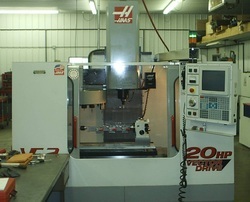 We may look like a small machine shop, but we have the capacity and capability to perform a variety of machining tasks using our CNC and manual machining equipment. We accept small jobs as few as one part, prototypes, and multiple part production orders. We use modern CNC machines and the latest version of CAD/CAM software (GibbsCam) to produce parts that will exceed customer expectations in quality and turnaround. We currently make several tools for working on tractors (see Tractor Tools page) and offer cylinder head repair services (see Services Provided page). We work with each of our customers personally, from start to finish, to make sure they are completely satisfied.